If you are in the position of upgrading or downsizing your business real estate, infrastructure, equipment, or other assets, it is sometimes easier to find a new property before you sell your existing property. But how do you go about doing this? After all, you may not have the money to make the upgrade or downgrade you want. Bridge financing is designed to allow you to borrow the entire purchase price of your new property before you have sold your current property. Eurasian Capital gives people like you direct access to private equity capital when you need it on the fly. Why Consider a Bridge Loan? The option of bridge financing can afford you the flexibility you need to reposition and stabilize your commercial assets. It is necessary that to take note that bridge loans typically require a defined exit strategy once the loan's term is complete. Asset types that fall under the bridge loan umbrella include, but are not limited to, apartment buildings, industrial buildings, and equipment, medical buildings and equipment, mixed-use buildings, office buildings and equipment, retail buildings and equipment, as well as self-storage buildings. Bridge loans can be recourse and non-recourse with standard carve-outs for Environmental, bankruptcy, fraud, and misapplication of funds. Partial recourse and/or operating deficit and completion guaranty may be required for properties undergoing more significant renovation. Pre-payment penalty structures and exit fees might apply. 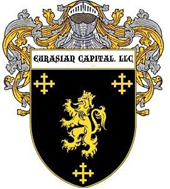 Overall, Eurasian Capital, LLC's process is simple and straight-forward. If you want to inquire about a bridge loan through us, we'll gather some information up front, such as the rent rolls, the operating agreements, a little bit of history about the property, and what the borrower's request is. Once we get through the initial information, we generally put out a conditional Letter of Intent. This sets the stage for what we believe will be the financing transaction that we can deliver to the client if all things that have been represented to us turn out to be accurate. Once the LOI comes back to us with the application fee - the application fee covers some of the initial costs of underwriting, such as an onsite visit and the backend underwriting that we do - a needs list is generated. The underwriting continues as the client fulfills the needs list. With Eurasian Capital, LLC, underwriting is done on a concurrent basis, not linear. We're not waiting for information to come back before we order an appraisal or before we do our title review. By running everything concurrently, we can shave off hours, days, and weeks from the underwriting process. Within two weeks from your application, you may have the capital you need in the form of bridge financing. Contact Eurasian Capital, LLC to learn more.